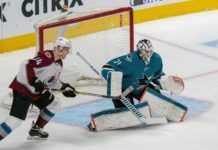 With 2018 pegged by most as a “rebuilding” year for the Colorado Avalanche, few expected the near doubling of points from 48 in 2017 to 95 and a postseason berth in 2018. 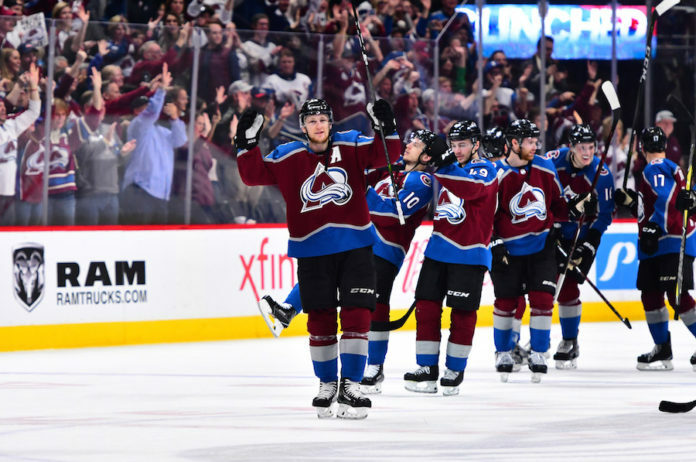 Powering that resurgence is the young core that the Avalanche intend to build on and a potential Hart Trophy candidate. Nathan MacKinnon leads the way for one of the youngest teams in the league, and certainly will be a candidate for the Hart Trophy with his 97 points (39 goals, 58 assists). 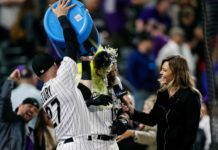 In an interview with Eric Goodman and Les Shapiro of Mile High Sports AM 1340 | FM 104.7, Mike Chambers of the Denver Post says the Avalanche have an incredible surplus of young talent and the immediate success, even in the face of a rebuild, has been something that not even General Manager Joe Sakic could have seen coming. Colorado’s top star in that young nucleus MacKinnon. His 97 points have powered the Avalanche with the superstar power they’ve needed. Chambers is a voter for the Hart Trophy and while he didn’t reveal his pick for the award, he did mention that MacKinnon, will be up there for consideration. 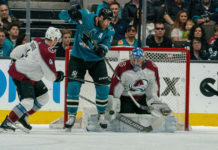 Click here to listen to the full interview with Mike Chambers, including what he had to say about the Avalanche chances of upsetting the Predators and more, or listen to the podcast below.